Chicco is a brand that has impressed me for long, so when I was asked to review their Baby Moments range of products, I was more than happy to come on board. I love it that they have divided everything that a mother needs for her baby during the early years and turned them into special moments which are precious to us. The Bath moments range contains everything you need for bathing your baby. It includes special bathing cleansers like body wash, Shampoo, Bath foam & soap etc. with no tears formula & specific natural ingredients like Oats extract & pot marigold to gently cleanse baby delicate & sensitive skin everyday. During the first few months, a baby’s skin is not completely formed and therefore it is rather delicate and thin, with a thickness that is approximately half than that of adults. Therefore, the skin is not able to ensure effective protection and consequently it is more prone to rednesses and irritations, resulting in possible infections and allergies. The secretion of sebum decreases rapidly starting from birth, leaving the baby’s skin particularly vulnerable; it is not rare, therefore, to see dry skin in the weeks following birth. These products formulated to produce less foam, so baby’s eyes do not get irritated. All these products are Parabens free , SLS & SLES free, Dyes & Alcohol free, thus making it safe for baby’s sensitive skin. During the first few months, nappy changes are frequent and need a lot of care. If not, then they can lead to painful rashes. Along with choosing the right diaper for your baby, you must remember to give the delicate skin of baby’s bottom, proper care at every change. Change Moments include special changing products like Baby wipes, Talcum Powder and Nappy cream. Talcum powder is enriched with rice starch which makes it smooth and easy to absorb. The talcum with rice starch formula does not clog pores of baby’s skin as it creates a breathable layer on it. .
Nappy cream’s enriched with zinc oxide formula has been developed to protect a baby’s skin, maintain skin moisture balance and obtain a high barrier effect against water washout and irritants. Baby wipes have soft texture and are ideal not just for cleaning nappy area, but also for cleansing baby’s face and hands when needed. They are non-irritants and leave the skin soft and protected. Skin care moments includes special moisturising products like Body lotion, Rich Cream & Massage oil etc. Chicco Rich Cream contains rice bran oil, Vitamins B5 and E and shea butter. Its formula is designed to nourish, soften and restore the hydrolipidic balance of children’s skin. It is especially suited for skin with sebaceous imbalances and dryness caused by exposure to the elements. This cream is specially useful if your baby’s skin gets very dry. Chicco Massage Oil is pure rice bran oil based. It does not contain mineral oil or paraffin derivatives, so it is easily and quickly absorbed. Its special formula was designed to cleanse, nourish and restore the hydrolipidic balance of children’s skin and also ideal for removing cradle cap. Thanks to the special balance of selected oils, it gently cleanses providing emollience and nourishment. Cleansing is ensured by a physiological cleansing mechanism whereby the oil removes greasy residues upon contact. This oil can also be used for cleansing without water. Ideal for massages of hair and skin daily. This range has to be my favourite. Most mothers would agree with me that sun causes most damage to children’s skin specially during summer time. If your baby or child wants to enjoy pool time during summer, skin is even more exposed to harmful rays. 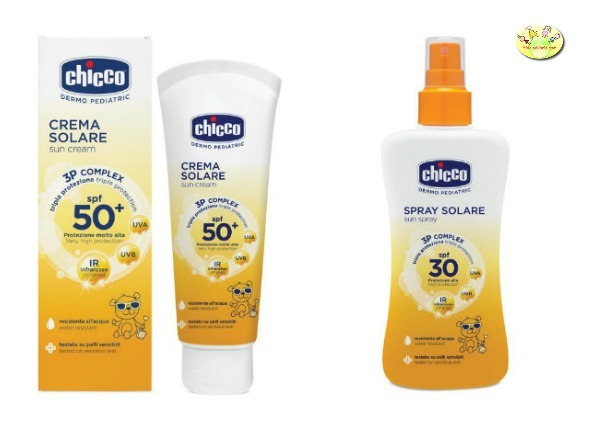 I just love Chicco sun cream which has 50+ SPF. The best part is it protects skin from UVA, UVB and even infra red radiation which is not commonly found in most sunscreens. They also have a sun spray with easy to apply spray bottle. This product is water resistant as well which makes it appropriate for out door hours and pool time. This whole range is a complete set for all the needs of baby and coming from a brand like Chicco, one can be rest assured of the quality. 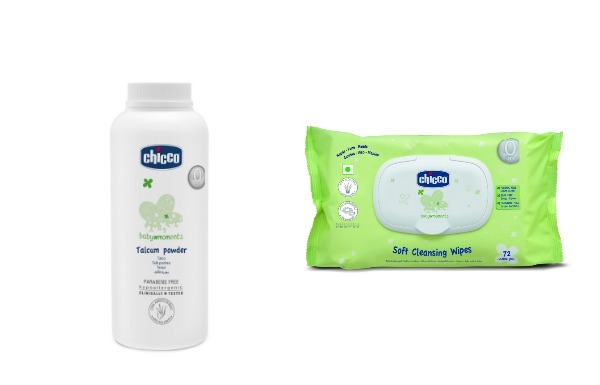 Have you used any of Chicco baby products? Do share and let us know how you found them. Good to know about this range of products. I will share this post with other moms I know. Never used Chicco but lately read a lot about it. Looks like promising option for gift purposes. Looks like a good range. Will share with fellow moms. I have used their baby range especially when I am travelling and it is so gentle on the skin. Good range of products for kids. I have used and loved many Chicco products but have not tried their bath products. Looks like they too live up to the Chicco brand name. I am a big fan of chiccoo products.They are Good quality and lasts well. Chicco is indeed a famous brand for kids and babies. 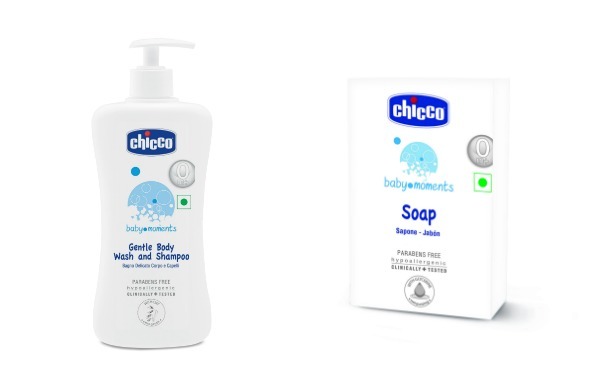 We have used some of the products by them and found them really nice..
Chicco is quite famous everywhere. I love the fact that their range is complete for all the requirements of kids. I am a big fan of Chicco Baby moments, have been using it since my son’s birth.